Man Utd striker Romelu Lukaku didn’t train with the Belgium squad on Monday due an ankle injury that almost ruled him out last weekend. The 24-year-old was a late fitness doubt for the win over Crystal Palace, but he took his place in the starting line-up and was crucial in the win as the Red Devils continued to set the pace at the top of the Premier League table. However, according to ESPN, the ankle issue is clearly still bothering him as he didn’t train with the national team on Monday evening and was instead checked over by doctors to determine how serious the issue was. 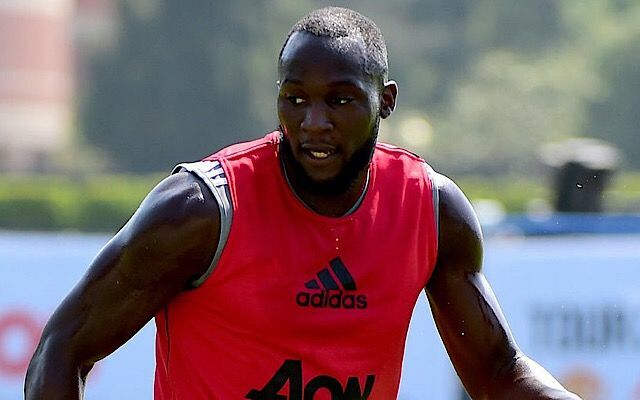 It’s noted that Lukaku sustained the injury in training with United on Friday, but after passing a fitness test on Saturday morning, he went on to complete 90 minutes against Palace and scored his 11th goal in 10 games for Man Utd since his summer move from Everton. In turn, it isn’t expected to be a serious issue, but Jose Mourinho will be desperate to determine that it isn’t aggravated on international duty and that his star striker doesn’t return next week with a spell on the sidelines to follow. Belgium take on Bosnia on Saturday before facing Cyprus next Tuesday. Having already qualified for the World Cup in Russia next summer, it would seem a little nonsensical to risk Lukaku if he is struggling with a knock, and Man Utd will be hoping he isn’t given their upcoming fixtures after the break. Mourinho’s men face Liverpool, Tottenham, Chelsea and two Champions League games against Benfica, as they will now be seriously tested after a relatively straightforward start to the campaign. With Paul Pogba already missing due to injury, the last thing Man Utd want is to also be without their talismanic striker for so many huge encounters.